This 5-bedroomed property with sea views is the perfect destination for larger groups. 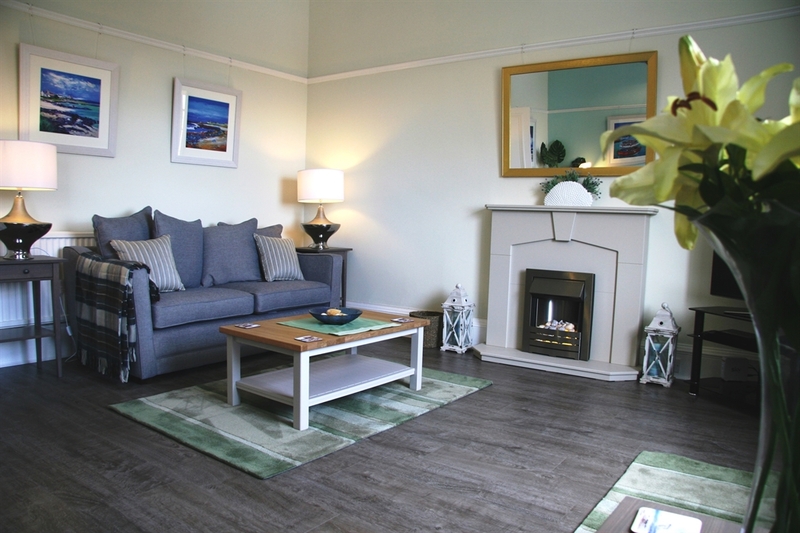 Comfortably sleeping 8-10, with a large lounge and dining kitchen, it offers easy access to the beach, golf courses and the rail link to Edinburgh. 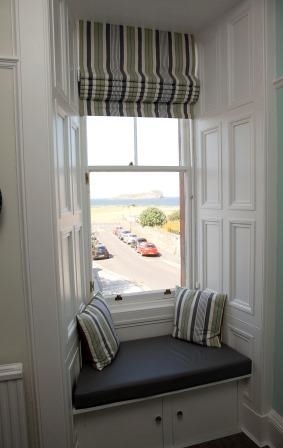 Self-catering accommodation in the beautiful seaside resort of North Berwick, sleeping 8-10. 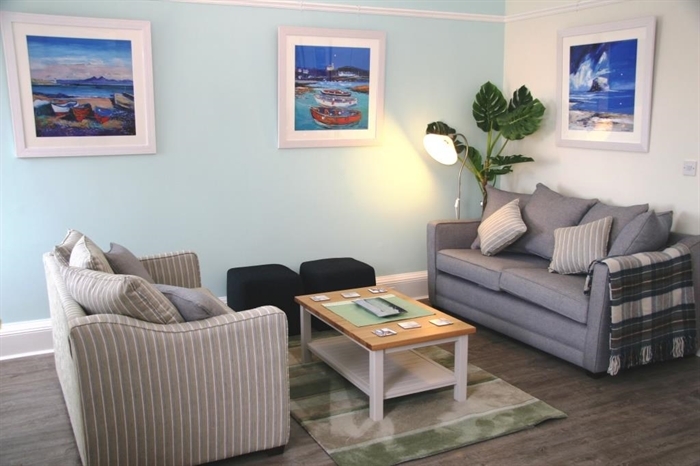 Craigview House Apartment is a 5-bedroom self-catering property situated in the town centre, close to the railway station, beach, golf courses, shops and restaurants and other local amenities. 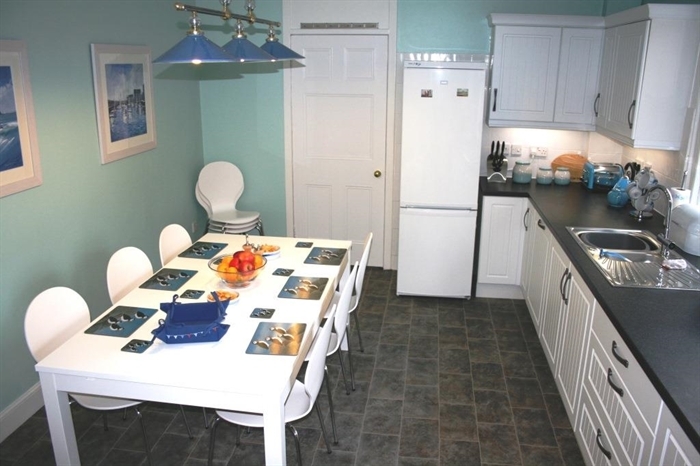 Recently refurbished to a high standard, it is perfect for groups or large families, sleeping up to 10 people. 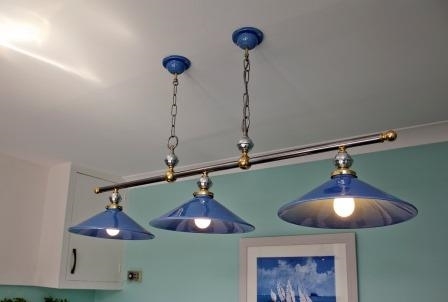 Just a few steps from the famous West Links golf course, it is an ideal base for golfers or for anyone wishing to embrace the splendours of the lovely East Lothian coastline. 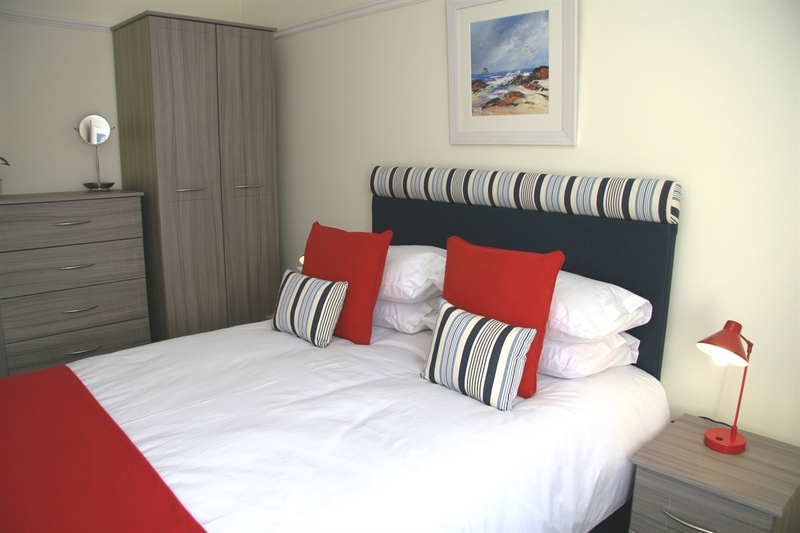 With 3 bedrooms containing 2 “zip and link” single beds that can be made into superkings, plus 2 king double bedrooms, there is flexible accommodation that can be configured to sleep up to 10 people, depending on whether they are groups of single persons, couples or families. Excellent road and rail links to Edinburgh allow visitors to mix the relaxation of the seaside with the excitement of Scotland's historic capital city, one of the world's great visitor destinations. 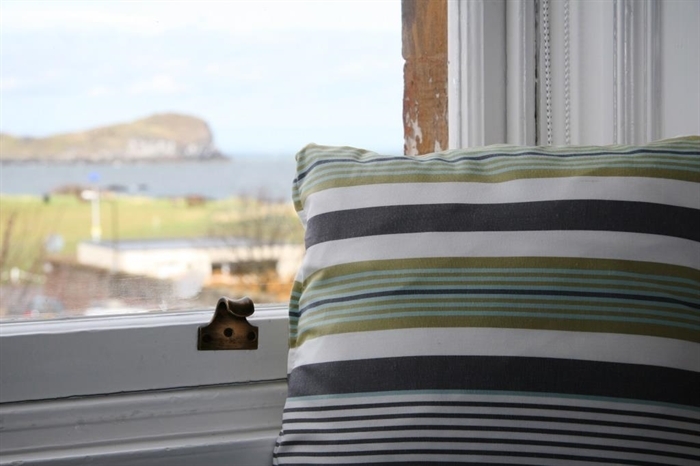 Situated 25 miles east of Edinburgh, easily accessible by a 35 minute train journey to and from the heart of the city, North Berwick is one of Scotland's loveliest seaside resorts. With beautiful golden beaches, two golf courses, a high street full of interesting boutique shops and art galleries, lots of places to eat and drink and a multitude of local attractions, it is a great base for exploring this part of Scotland and the nation's capital. There is a fine selection of independent specialist shops and galleries in the town centre, including our own Westgate Galleries. 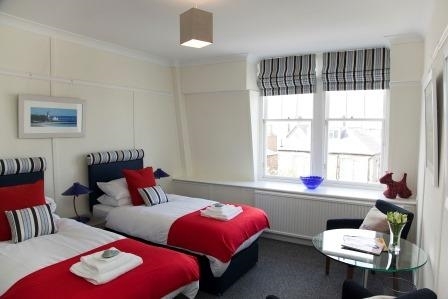 The high street has an award winning butcher, a deli, a great independent wine and whisky shop, and several convenience stores that can cater for your self-catering needs while you are here. There are also a couple of larger supermarkets on the outskirts of town although we would encourage you to support our local high street traders wherever possible. There are plenty of restaurants in the town, including Chinese, Indian, Thai, Italian and a good steakhouse, with several takeaway outlets as well. There are also several pubs and hotels offering food along with their fine beers, wines and spirits. 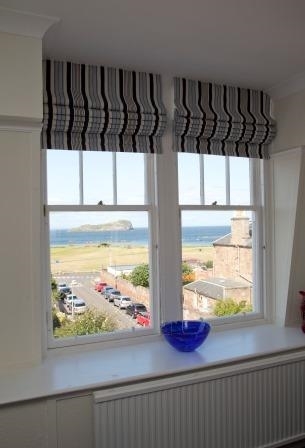 North Berwick has 2 golf courses in the town itself: the West Links that is just seconds from Craigview House Apartment and the Glen that is slightly further way at the east end of the town. Both offer challenging tests for the golfer, with the added benefit of some of the most spectacular views in golf. A couple of miles inland is Whitekirk Golf and Country Club, which offers a very different test but also offers stunning views over the East Lothian countryside and coastline. But this is only the tip of the iceberg! There is a huge selection of fantastic golf courses within easy reach of North Berwick, not least the famous Open championship course at Muirfield only a few minutes drive away. Also nearby are Gullane, Archerfield, Luffness, Dunbar, Kilspindie, Craigielaw and Musselburgh, to name but a few. Although a relatively short distance away as the crow flies, the “home of golf” at St Andrews on the other side of the Forth is a longer trip by road but is still easily accessible as an outing. With over 40 miles of magnificent coastline, golden beaches, rolling countryside, spectacular cliffs, award-winning tourist attractions and the world's finest selection of links golf courses, East Lothian combines the best of Scotland in miniature. North Berwick is home to the award-winning Scottish Seabird Centre, with the National Museum of Scotland's Flight Museum nearby at East Fortune, and two Historic Scotland properties at Tantallon and Dirleton castles a short trip away. Only slightly further afield are John Muir's Birthplace, The Saltire Centre, Myreton Motor Museum, Hailes Castle, Musselburgh Racecourse and Glenkinchie Distillery. There are wildlife cruises from North Berwick harbour in search of seabirds such as gannets and puffins and other denizens of the deep such as seals and dolphins and even the occasional whale. The spectacular Bass Rock, which lies just offshore in the Firth of Forth has been described by Sir David Attenborough as “one of the 12 wildlife wonders of the world”. Being only a 35 minute train journey from the heart of Edinburgh, North Berwick is the perfect base for combining the delights of the Scottish outdoors with the excitement of one of the great “must-see” cities of the world. The Castle, Royal Mile, Holyrood Palace, Arthurs' Seat, Scottish Parliament, National Galleries and Museums of Scotland and Scott Monument are only some of the many and diverse attractions.